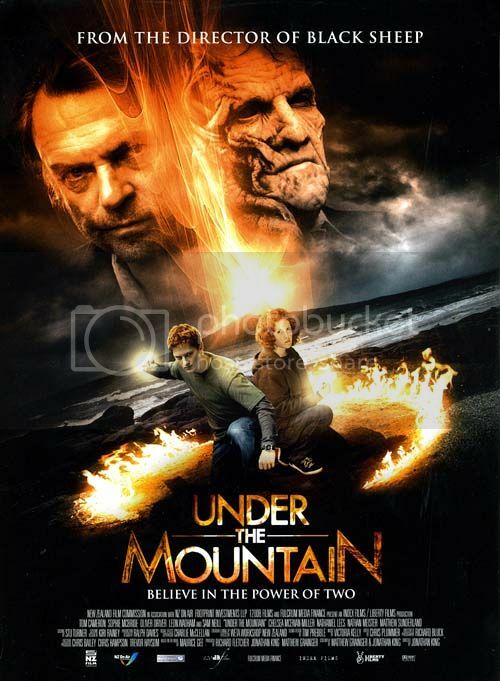 The low-budget fantasy, Under the Mountain, is an endearingly imperfect and low-key production. Based on a popular Kiwi YA book by Maurice Gee, it clocks in at a rushed 90 minutes - though we reckon something like five hours would have been enough to do the story justice. Instead, this film feels slipshod, with some very dodgy acting, a hasty narrative and a weak conclusion. Despite all this, we kinda liked it. Like, liked it a lot. It was cuddly. It featured Sam Neill. And New Zealand. And blue lakes. And volcanoes. Anyone up for a hug? Twins Theo (Tom Cameron, awful but sweet) and Rachel (Sophie McBridge, a bit better) share that special twinly connection of telepathy and feeling what the other feels. One day, they come home to find that their mother has been killed in an accident. As Rachel reaches out in her grief, Theo shuts down - he cuts himself off from the twinliness, leaving Rachel alone in silence. Giving their father time to mourn, they are shipped off to live with their Uncle Cliff (Matthew Chamberlain) and Aunt Kay (Michaela Rooney) in Auckland. Guided by their cousin Ricky (Leon Wadham), they explore the mighty volcanoes surrounding Auckland city, marvel at the dilapidated house across the lake owned by the mysterious Wilberforces, and meet a crusty old man who yells at them. 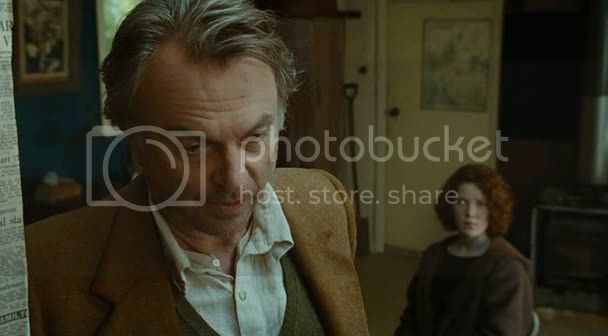 This old geezer is none other than Mr. Jones (SAM NEILL) - and, when Theo finds a 19th century picture featuring a not-much-younger Mr. Jones in his Volcanoes textbook, he realizes that Mr. Jones isn't just a crazy curmudgeon. What is up? The Uglies from the Planet Crap and their ill-tended yard. Something is up! Like beyond orbit up! It's a (hilarious, unintentionally) doozy of interstellar warfare and colonizing alien species and "twinness". Mr. Jones is the last surviving extraterrestrial expat of a race of Fire Raisers (think Avatar: The Last Airbender, but they only come in pairs). Back in the day (like, waaaaay back in the day), the Fire Raisers warred with the squiggly race of crappy aliens, now embodied in the Wilberforces (think The Matrix's Agent Smith mated with Predator). Then a third alien race came in - okay, we got hazy here - called the Gargantuans, or maybe just Gargantua, and they were trapped by - the Fire Raisers? the Wilberforces? Sam Neill's Sam Neilliness? well, something - under Auckland's seven volcanoes. The mother Gargantua, a kind of Grendel thing with rhinestones for eyes, currently slumbers under the mightiest of the peaks: Rangitoto Island (Māori for "bloody sky"). And only twins can defeat the Wilberforces and the Gargantua(n)s! 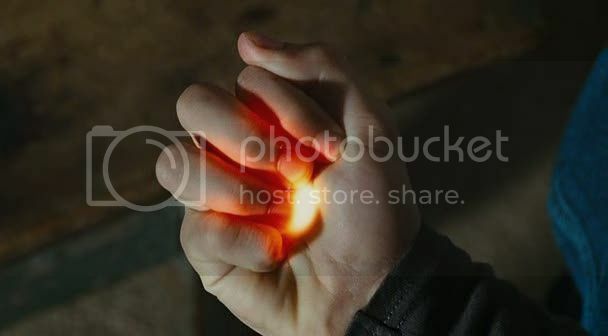 After giving Theo and Rachel some very handsome oversized pebbles - Fire Raiser weaponry - Mr. Jones stresses, in that particularly grumpy way of his, that the only thing that's special about Theo and Rachel is their twinness, and they have to channel this twinness if they ever hope to survive. Theo's like, "Yeah, whatever," and Rachel's like, "What happened to your twin, Mr. Jones? And all the other twins before us who attempted this feat?" and Mr. Jones is like, "THEY DIED." The acting, especially coming from the younger actors, is terrible. Just dreadful. The pacing is also slow. The cuts are awkward, and the background score seems to have its own ideas about how the story should go. Sam Neill channels his most ultra-serious avatar, often bordering on the camp (especially when he hobbles around and growls about dead alien races). The Wilberforces, while unnerving with their Predator-like jaws and slimy exoskeletons, were also quite funny as an ancient alien race that never quite got the hang of grammar ("Make them dead!" being a good one, though we also enjoyed "Then I will observe you to die, ho ho ho!"). "They? Oh, they died horrible, drawn-out deaths," he wheezed. Yay! Yet DESPITE ALL THIS, we cannot stress this enough, we deeply enjoyed this film. We are, of course, completely biased by our wild fondness for New Zealand and Sam Neill and young adult fantasy. But it was like Madeleine L'Engle cookies marinated in Sam Neill sauce (which sounds gross, but he even does the thing where he arches his eyebrows and glares crazily and intones some pronouncement on our DOOM). It was like a fuzzy blanket of Kiwi comfort. We just know that if we were 11-year-old Kiwi schoolgirls (as we are, on the inside), we would love the idea of sleeping alien beasts lying beneath Auckland's craters. "But what if I don't feel any particular fondness for Sam Neill or New Zealand or aliens, PPCC?" you may ask. "What then?" I watched the movie and it goes by the name Evil Spirits. If it was shown as Under the Mountain I would not have watched it. The title being intriguing, and the poster kindof exciting, I decided to watch it -- was it just 95 minutes -- it felt like three hours. The acting -- specially of Ricky -- is really crappy but I think Mr Jones and the twins did ok -- just ok. The script, the scenes -- pretty much everything, is just corny. It reminds me of the feeling I had watching Armageddon this year -- and how it thrilled me when I was a child. 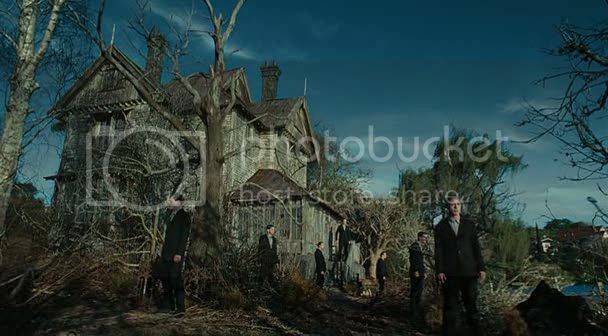 But this is a 2009 film, and very old school. It seems New Zealand's film industry hasn't caught up with the rest of the world.